Is this not a welcome sight? How I love it when the first snowdrops burst through the hard winter soil, a timely reminder that the cold, dark days will soon be over. But until they are, there are plenty of other things for me to be getting on with. This week, I’m harvesting the mustard sprouts I’ve grown indoors and will be planting a second crop. 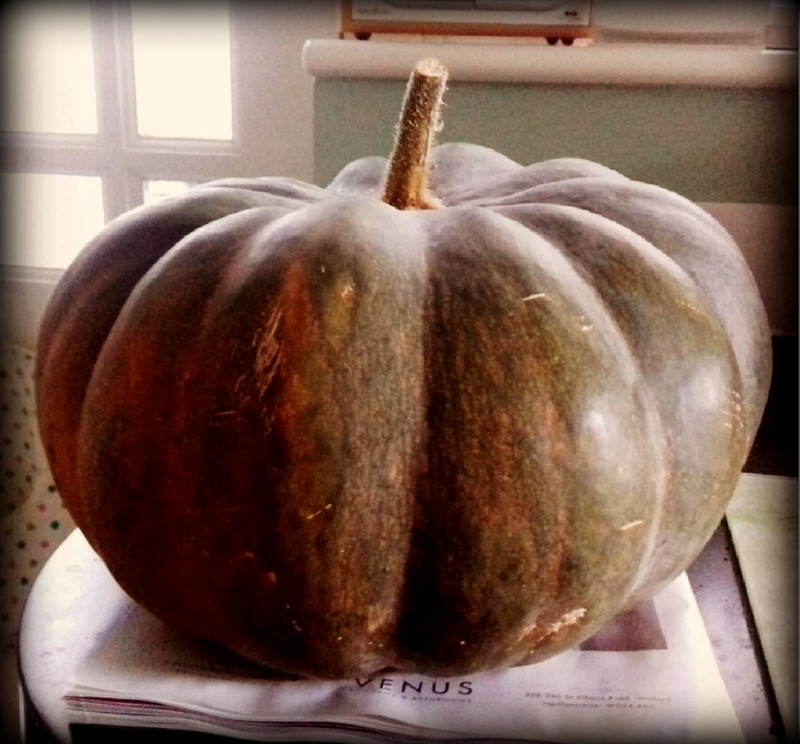 I’m also dealing with our enormous Musquee de Provence pumpkin which we harvested last autumn. You wouldn’t believe how much diced pumpkin is sitting in my fridge at this moment. I’ve already made two big batches of soup, two lots of risotto but, oh my goodness… it’s never-ending! It has a beautiful flavour, I must say, sweeter than our usual Crown Prince variety and with a richer-coloured flesh, but as there are just two of us, I think we should probably stick to the smaller varieties in future! Just to make things difficult, our freezer seems to have packed up so I can’t puree and freeze any of it. We’d noticed a few weeks ago that things on the upper shelves weren’t freezing properly, but yesterday I saw that the chillies I’d painstakingly washed, dried and frozen throughout the summer had started to rot. The broccoli, beans, peas and cauliflower from the allotment are on a lower shelf and still seem to be okay (fingers crossed), but there’s fish in there which I’m going to have to throw, not to mention the amazing ragu I made from our leftover Christmas duck! We only bought the freezer a little over a year ago and as someone who abhors unnecessary food wastage, you can imagine how livid I am about it all. There’s nothing worse (on the domestic front) than a freezer not freezing. As a vegetable grower and a keen cook I rely on my freezer more and more. I hope you -or Lec-sort it immediately. Thank you – repair man coming next week! Have you had any power outages or fuses blowing out that caused temporary power outages? That could have caused melting. We have had a repair man turn off our freezer to use the electrical socket and forget to plug the freezer back in after he was done. Luckily we noticed it before any damage was done. I hope you fix the problem. Yes I love when the snow drops bloom every spring. i find it so miraculous every time. That usually doesn’t happen until Easter time. It is always such a welcome sight after Sweden’s dark winter. Beautiful snow drops, and that is some pumpkin! Also so discouraging to lose food like that. It has happened to us several time when we have had extended power outages because of a bad storm. No fun!